STEVE EMBER: The early nineteen twenties were a troubled time for the United States. Congress and the public began to discover crimes by several officials in the administration of President Warren Harding. Harding himself became seriously sick during a trip to Alaska and western states. He died in a hotel room in California in August, nineteen twenty-three. 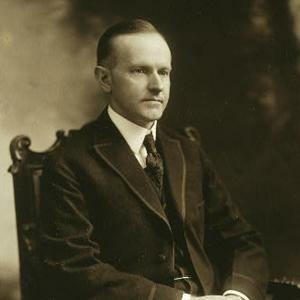 Harding's vice president, Calvin Coolidge, became the new president. Both men were Republicans. Their policies on issues were much the same. Coolidge, however, was a very different man. He was completely honest. He was the kind of president the country needed to rebuild public trust in the government. SHIRLEY GRIFFITH: Calvin Coolidge was quiet and plain-looking. He was the son of a farmer and political leader from the small northeastern state of Vermont. Young Calvin worked at different jobs to pay for his college education. He became a lawyer. He moved to another northeastern state -- Massachusetts -- where he became active in Republican Party politics. First he was elected mayor of a town. Then he was elected to the state legislature. Finally, he was elected governor of Massachusetts. STEVE EMBER: In nineteen-nineteen, a group of policemen in the city of Boston tried to start a labor union. This violated the rules of the police department. So the commissioner of police suspended nineteen of the union's leaders. The next day, almost seventy-five percent of Boston's policemen went on strike. SHIRLEY GRIFFITH: He took strong action. He called on state troops to end the strike. He said: "There is no right to strike against the public safety by anybody, anywhere, any time." Most Americans approved of what Coolidge did. The people of Massachusetts supported him, too. They re-elected him governor by a large number of votes. 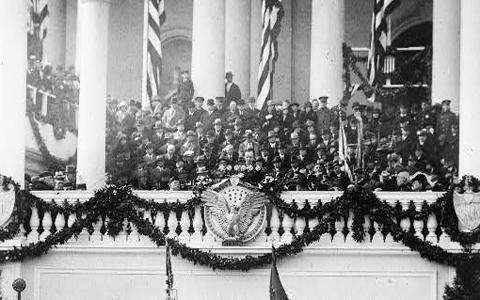 Then, in nineteen twenty, Republicans nominated Warren Harding for president. They nominated Calvin Coolidge for vice president. When President Harding died in California, Coolidge, his wife, and two sons moved to the White House. STEVE EMBER: America's thirtieth president was, in some ways, an unusual kind of person to lead the country. He said little. He showed few feelings. Coolidge's policies as president were not active. He tried to start as few new programs as possible. He was a conservative Republican who believed deeply that government should be small. Coolidge expressed his belief this way: "If the federal government should go out of existence, most people would not note the difference." And once he said: "Four-fifths of our troubles in this life would disappear if we would only sit down and keep still." SHIRLEY GRIFFITH: Coolidge believed that private business -- not the federal government -- should lead the country to greater wealth and happiness. He continued President Harding's policy of supporting American business both inside the United States and in other countries. The government under President Coolidge continued high taxes on imports in an effort to help American companies. STEVE EMBER: Many Americans shared Coolidge's ideas about small government and big business. In the early nineteen twenties, many of them were living better than ever before. SHIRLEY GRIFFITH: The American economy grew in the nineteen twenties for several reasons. The world war had destroyed many factories and businesses in Europe. The United States did not suffer the same destruction. It was still a young country. It had great natural resources, trained workers, and a huge market within its own borders. When peace came, Americans found their economy stronger than any other in the world. STEVE EMBER: Changes in the American market also helped economic growth. "Installment buying" became popular. In this system, people could buy a product and pay for it over a period of several weeks or months. The total cost was higher, because they had to pay interest. But the system made it possible for more people to buy more goods. It also made the idea of borrowing money more acceptable to many Americans. SHIRLEY GRIFFITH: The growing importance of the New York stock markets also helped economic growth in the nineteen twenties. Millions of Americans bought shares of stock in companies that seemed to grow bigger every month. Such investment almost became a national game. People would buy shares of stock, then sell them when the stock rose in value. There were many stories of poor people who became rich overnight by buying the right stocks. STEVE EMBER: During the nineteen twenties, the idea of manufacturing goods in the most scientific way became very popular. The father of this idea of "scientific management" was an engineer, Frederick Taylor. Mister Taylor developed a system to study manufacturing. He studied each machine involved in the process. He studied how much work each person did. He studied how goods moved from one part of a factory to another. Then he offered ideas to business owners about ways to produce goods faster and for less cost. SHIRLEY GRIFFITH: Taylor's ideas of scientific management appealed to business owners. Automobile manufacturer Henry Ford proved that the ideas could work in his new car factory in the state of Michigan. Ford used the assembly line system of production. In this system, each worker did one thing to a product as it moved through the factory. This helped cut prices and increase wages. STEVE EMBER: Ford and other businessmen learned a great deal about how to control costs, set prices, and decide how much to produce. All these changes in production and marketing helped Ford and other American companies grow larger and stronger. Americans in the nineteen twenties began to buy all kinds of new products they had never used before. SHIRLEY GRIFFITH: Calvin Coolidge was in the White House. However, business led the nation. Times were good. Americans trusted business and its leaders. It became an honor to call someone a businessman. Colleges organized business classes. Middle-class citizens in almost every city and town gathered to discuss business ideas. President Coolidge spoke for millions of Americans when he said: "The chief business of the American people is business." STEVE EMBER: Coolidge represented traditional values and a simple way of life. He knew exactly how every dollar he earned was saved or spent. And he spent no more money than was necessary. On our next program, we will see how the economic growth of the nineteen twenties brought exciting changes to the day-to-day life of millions of Americans. BOB DOUGHTY: Our program was written by Nancy Steinbach. The narrators were Steve Ember and Shirley Griffith. 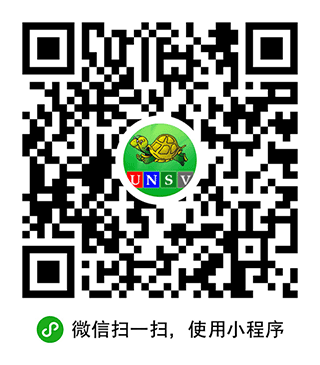 You can find our series online with transcripts, MP3s, podcasts and historical images at www.unsv.com. You can also follow us on Facebook and Twitter at VOA Learning English. Join us again next week for THE MAKING OF A NATION -- an American history series in VOA Special English.